After spending an amazing week in the capital, we joined a tour group called Cuban Adventures for a trip around the north and centre of the island. 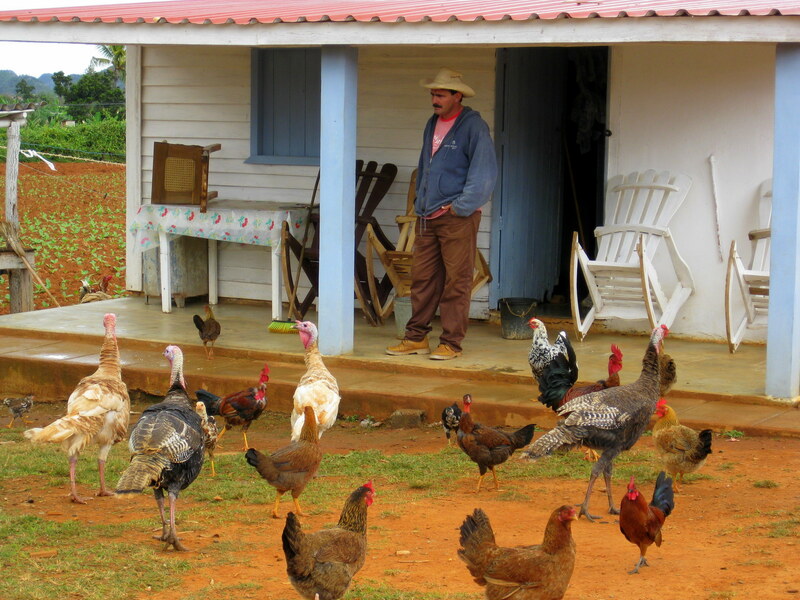 Our first stop was Viñales in the Pinar del Rio countryside, three hours north of Havana. I think I mentioned previously that – while not always too forthcoming with interesting facts and information – our guide, Jorge, did keep us in plentiful supply of cheap rum. Our first night in Viñales was spent unwisely in the village’s only bar/club, drinking copious quantities of said rum, dancing to trova music with the locals and eating whole tubs of ice-cream. Rather worse-for-wear (I believe he described it as his worst ever hangover), Paul spent the next morning cradling his head on the porch of our wooden homestay, trying to avoid the help of our confused hosts and fending off repeated offers of rice and beans. 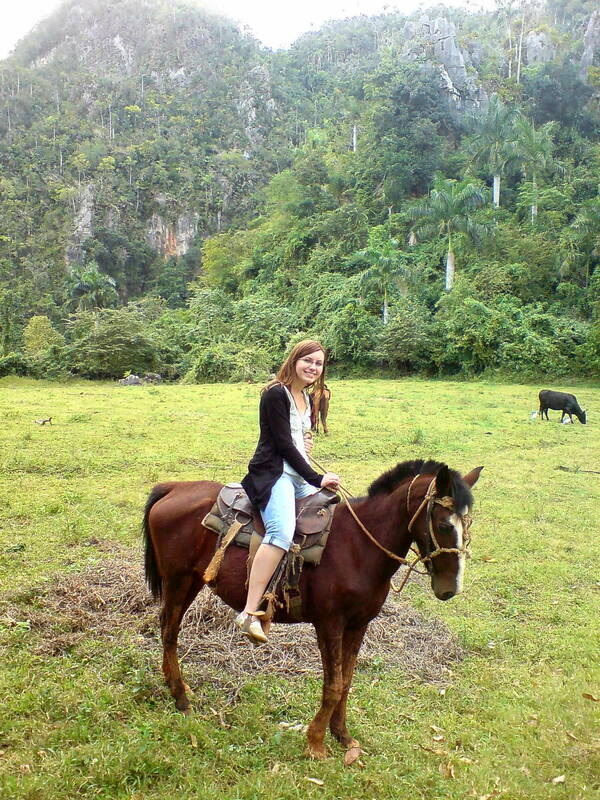 I, on the other hand, felt inexplicably perky and joined the rest of our eager party on a horse-ride trip through the tobacco plantations and valleys of the Parque Nacional Viñales. It was such a shame not to experience the stunning scenery with Paul, but my trusty steed kept me company. 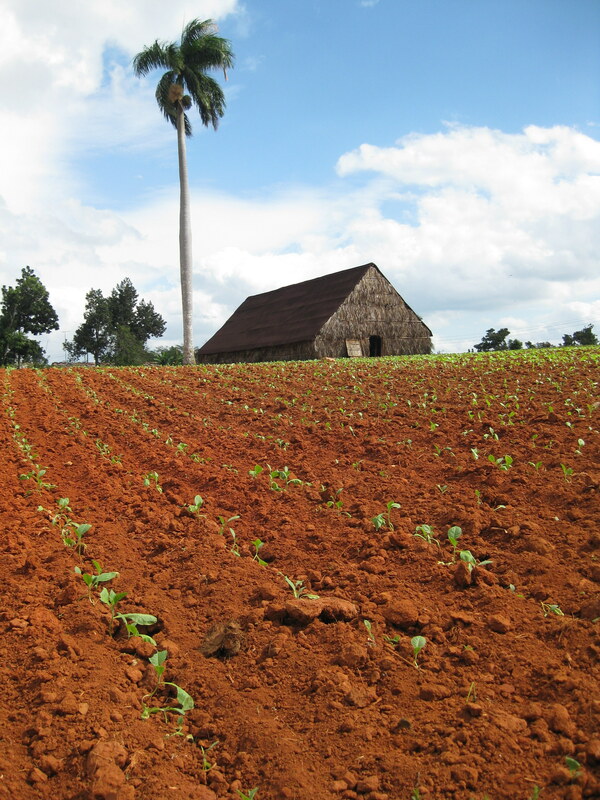 We cantered through muddy holes, waded through rivers and passed quietly by farmers tilling their fields with oxen, before stopping at a small holding to discuss tobacco growing with the locals. 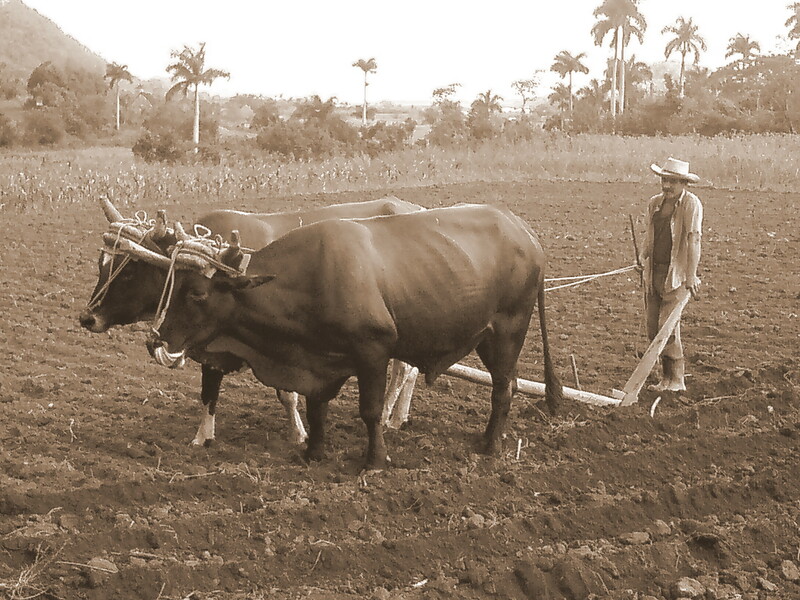 Cuba has the second largest area planted with tobacco in the world, yet the farmers have to give a substantial portion of their profit direct to the government. In fact, it was only relatively recently that they became able to keep any percentage for themselves. And despite being famous across the globe, the two main varieties grown – corojo and criollo – are banned as contraband in the USA. We stopped on the farm long enough to learn how to roll a cigar and get chased by turkeys, then rode on to the Cuevas del Indio (Indian caves) at the foot of the mogotes (the “haystack” like mountains). Next on the itinerary was the Bay of Pigs, the famous landing site of the CIA-sponsored counter-revolutionary militia in 1961. A short-lived offensive, which was quickly quashed by Castro’s troops. We had a quick look around the museum, which offered an arguably far from balanced account of the conflict and ongoing US embargo, then proceeded to Cienfuegos. 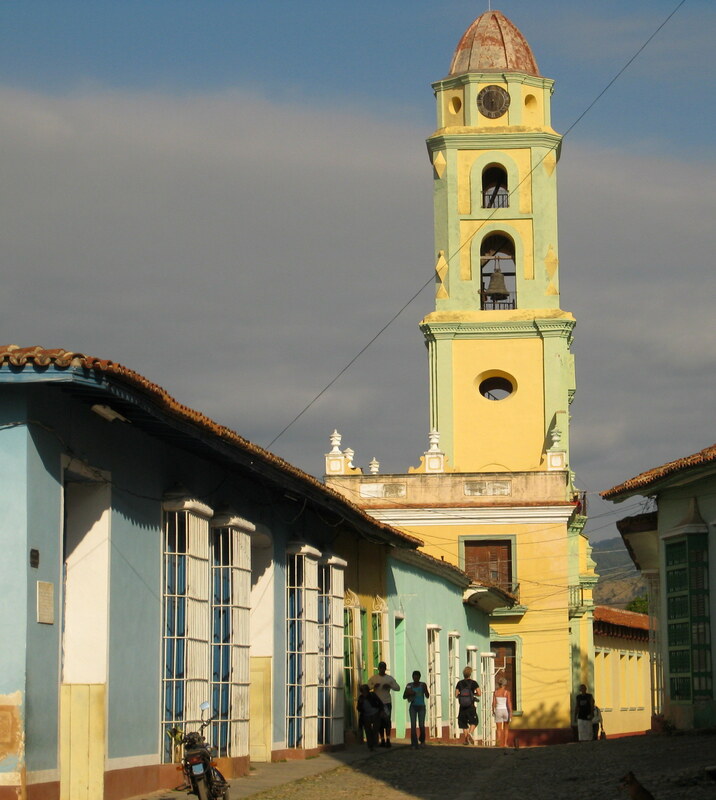 This small city was settled by French immigrants from Louisiana and saw an uprising against Batista during the Cuban Revolution. It has elegant white architecture and enjoys the distinctive feel of the American Deep South (which I can say now, though I hadn’t been at the time). 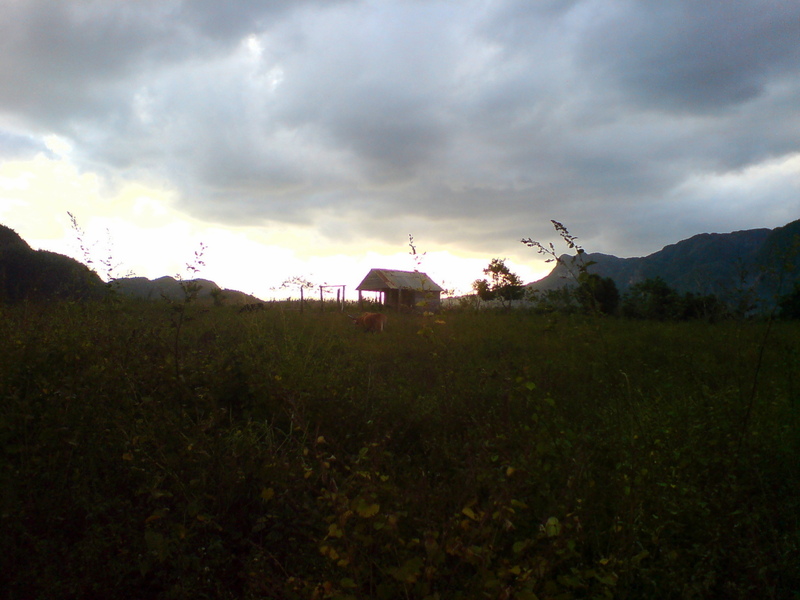 While there, however, we stayed in the least inviting of all our casas particulares, in an area of town with no street-lighting. 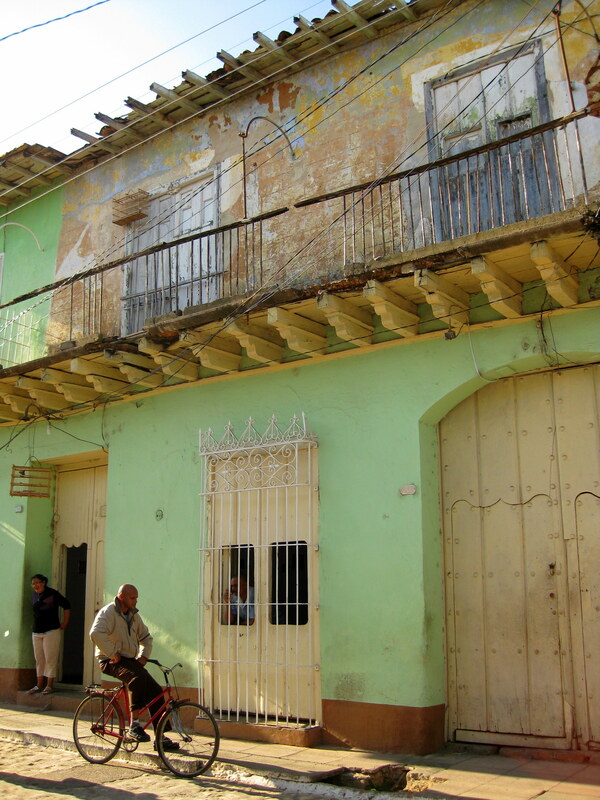 So I was quite pleased to move on, particularly given our next stop was the vibrant town of Trinidad in Sancti Spíritus. The UNESCO World Heritage site is a delightful place of colourful barrios, friendly people, loud trova bars, stunning colonial architecture and beautiful sun-drenched beaches. I loved it! Our time there felt far too brief; I could have happily spent many more days navigating the cobbled streets, hanging out around the main plaza or sitting listening to street music on the steps near the gorgeous Iglesia y Convento de San Francisco. But I can’t complain: we stayed in a fabulous casa during our stay and ate a feast on the roof terrace in honour of someone’s birthday. On the way back to Havana we stopped briefly in the town of Santa Clara, site of the last battle of the revolution. There’s a huge statue of Ché Guevara, the instantly recognisable poster-boy of Fidel’s movement, commemorating his death and that of the revolutionaries who died along with him in Bolivia. There’s also a museum dedicated to his life, though – again – it’s somewhat light on balanced fact. 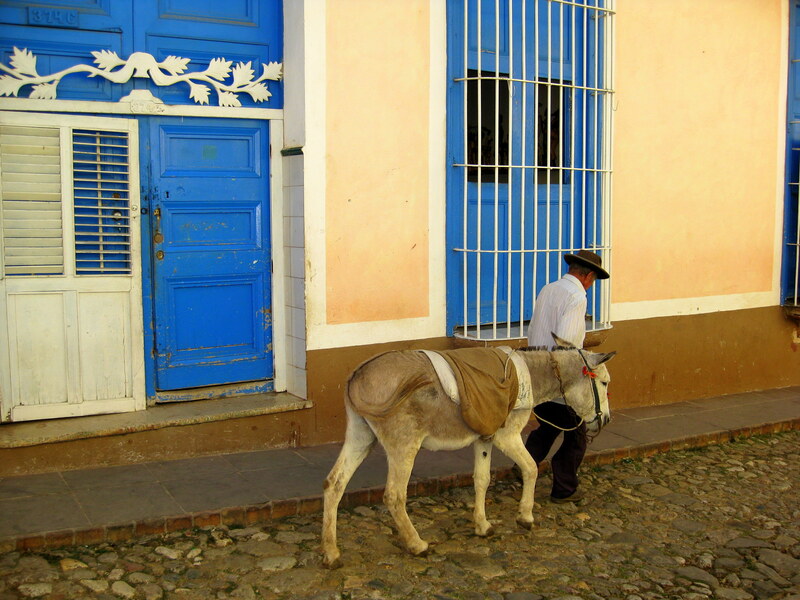 And the shops are relatively pricey, charging as they do in the convertible peso (CUC) – reserved for use in the tourist sector – rather than the lower-value CUP used by Cubans. 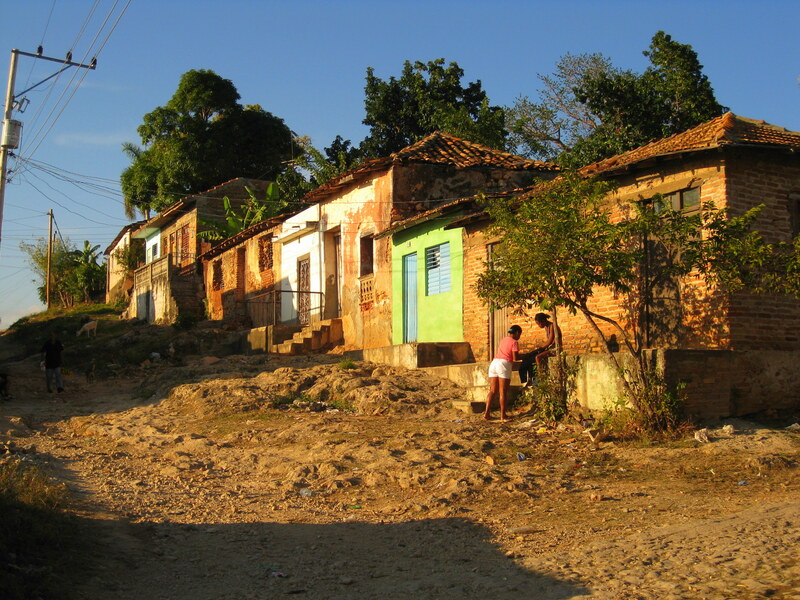 I read recently that Raul Castro is ending this two-tier system, a move that I’m sure is well overdue and will please the resentful owners of our various homestays. It was good to end the trip with a bit of a history lesson…and a stern telling off for the worst evils of capitalism. I must admit, though, that when we finally boarded the plane home, having enjoyed an extra couple of nights in Havana at Richard Branson’s expense (thanks to the eruption of Eyjafjallajökull), I felt both simultaneously sad at the thought that this amazing country is destined to change so quickly…and somewhat comforted by the same thought. 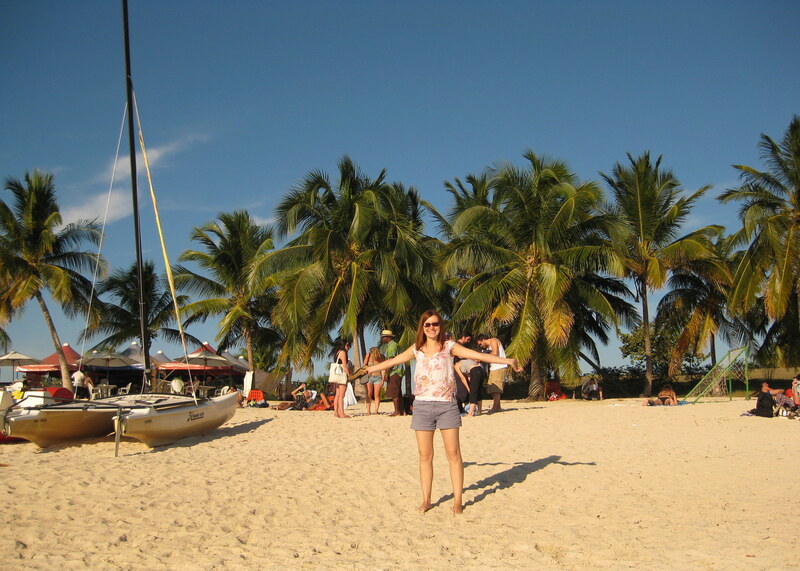 This entry was posted in Travel and tagged Bay of Pigs, Caribbean, Che Guevara, Cienfuegos, Cigars, Cuba, Fidel Castro, Havana, Santa Clara, Trinidad, Trova, Viñales on May 30, 2014 by victoriassecretblog. OMG this photos are just amazing! I also have a travel blog and if you visit is I would really appreciate it! P.